This is the month of romance or so it is called. 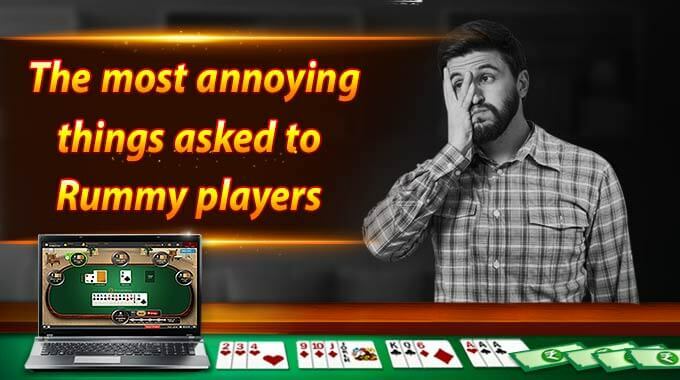 But what makes a true rummy player enjoy the month to its best? 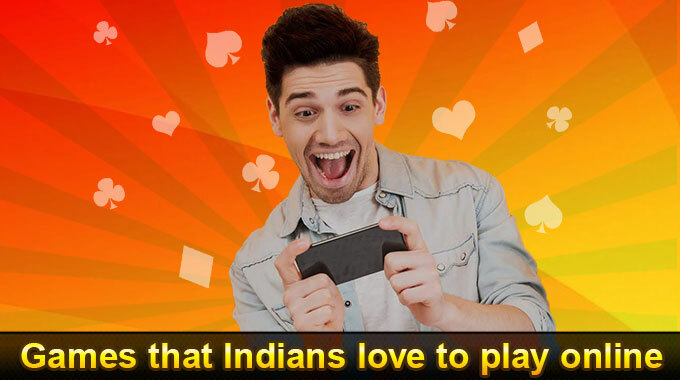 It’s when you win cash and enjoy the feel of valentine in the air as well. 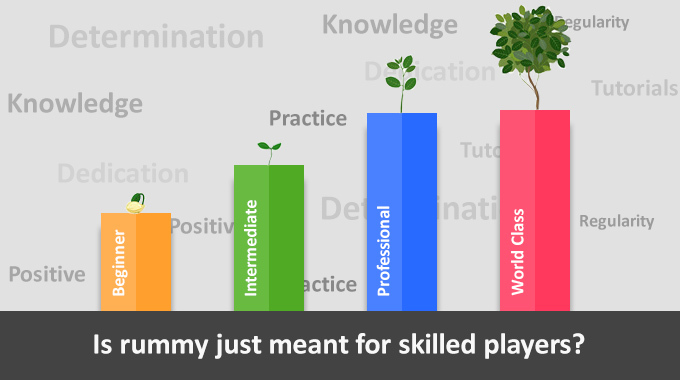 If you are thinking how you will combine a game of skill and feelings of the heart, then you should definitely take a look at these. In this Valentine month, love and gaming comes together. It is the approach towards the right move that makes all the difference. These pairs are known to all and it’s only with the right strategy that you can resolve this situation correctly. 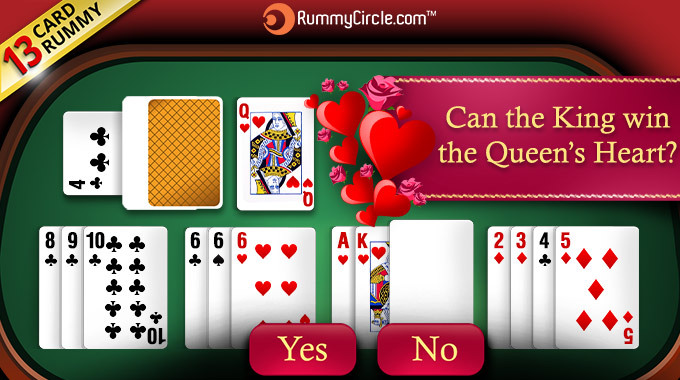 So, let’s get started with challenging your rummy skills and bringing the couple strategy in place. Which Queen’s proposal will the King accept? Proposal’s don’t necessarily need to come from only one. Sometimes, it is important to make the right choice, or the whole game can take a wrong turn. In this situation, there are 2 queens. What will be your choice to win this game. 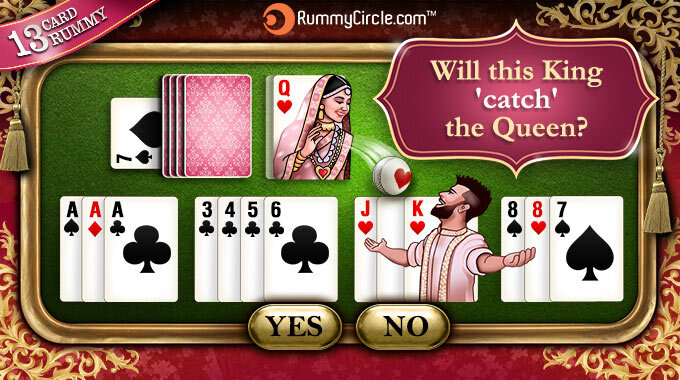 Will you go for Queen of hearts or is it Queen of Diamonds? Can the king find his Perfect Match? Matches are made in heaven… or so it is said. 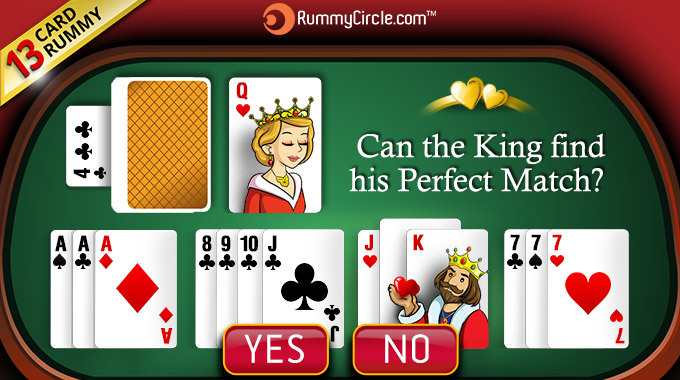 But that’s not the case with rummy. 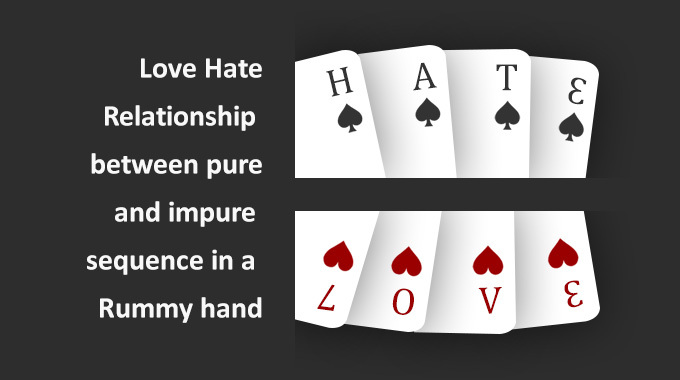 Being high value cards, both of these don’t always come together to form a winning hand. What’s your take in this situation. 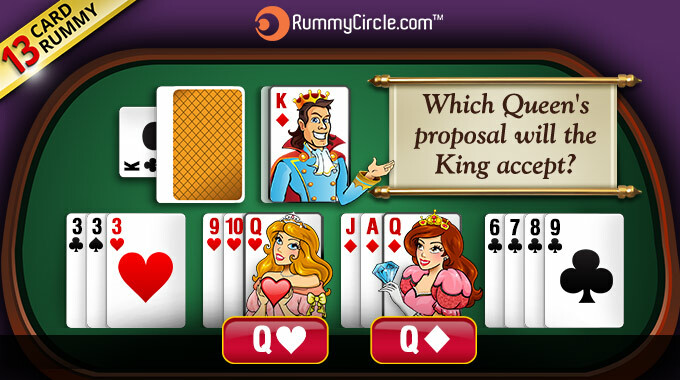 Will the king and queen together form the perfect hand or it is better to refuse this proposal. Our life also throws us in similar situation and it is with analytical approach we can nail it or throw it all away. Can the King win the Queen’s Heart? Love is in the air and the proposals you make this month, generally doesn’t get rejected. But in this situation, what should be the case? Will the king’s proposal to his queen win this hand or take it to the down side. 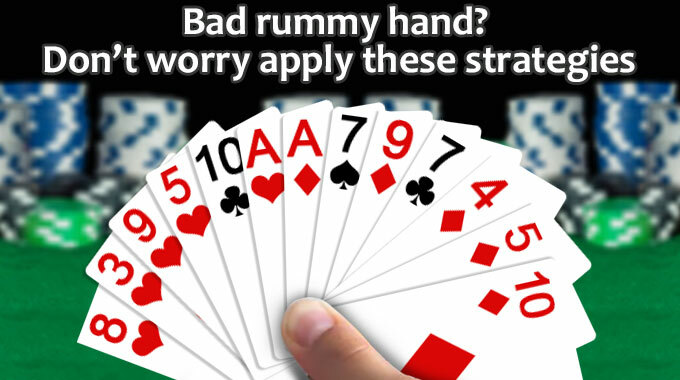 Each rummy hand can be played in multiple ways. It is up to you, how you arrange the cards and make the right move. Will this Joker enjoy a royal life? Jokers are so crucial to our rummy move. We try to use them after we are done with the pure sequence. 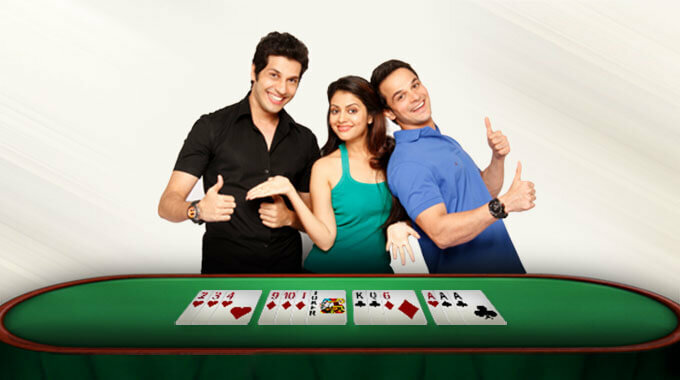 With the combination of wild card and Joker, it is the right move that can make you win the game. In this situation there are two Queens. Will the Joker be able to make its place between the Queens or it is not the right way forward. 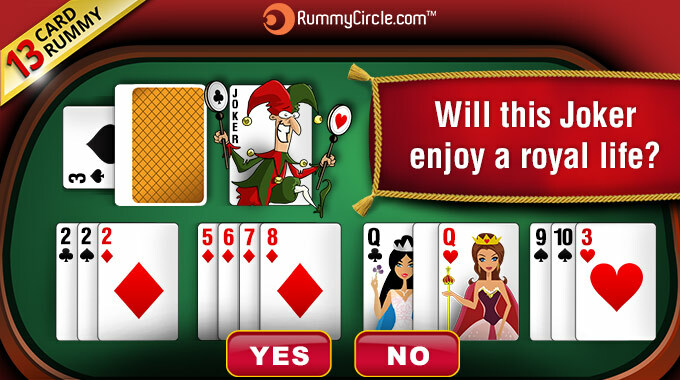 What does your rummy mind say in this situation. Will this King ‘catch’ the Queen? We saw many romantic weddings last year. 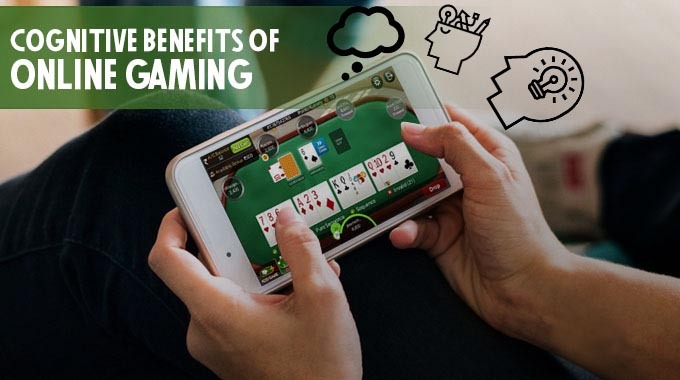 Each one showed the focused approach to gaming with the right time and strategy making it a winning situation. Can this King nail the situation as well? Once more, all big cards together can make the situation tricky sometimes. How will you deal with this card. 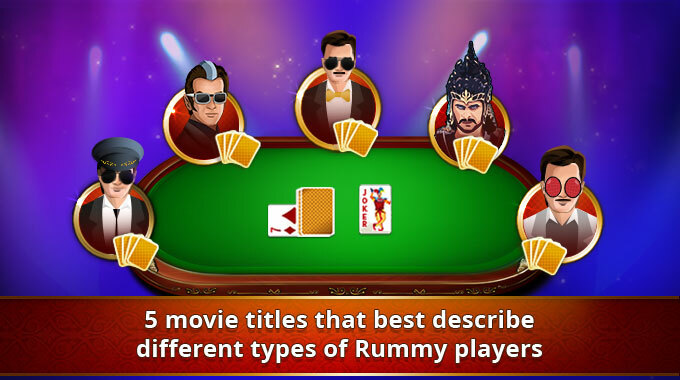 Yes, Indian rummy games teach us more than we realize. Other than picking the right card and making a valid declaration, it also helps us manage the different situations of life. 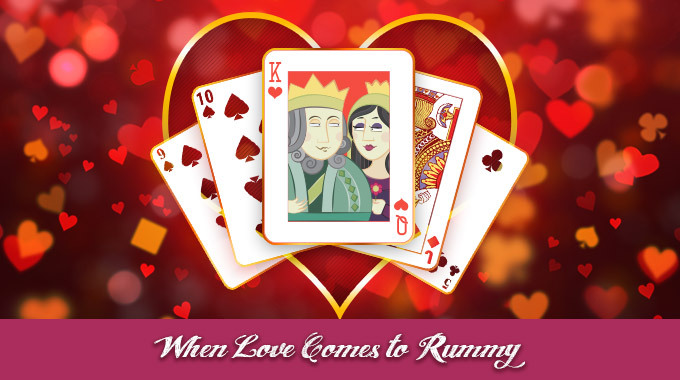 Whether you are stuck in a difficult relationship phase of your life, or trying to come to a conclusion, rummy will always have answers for you. 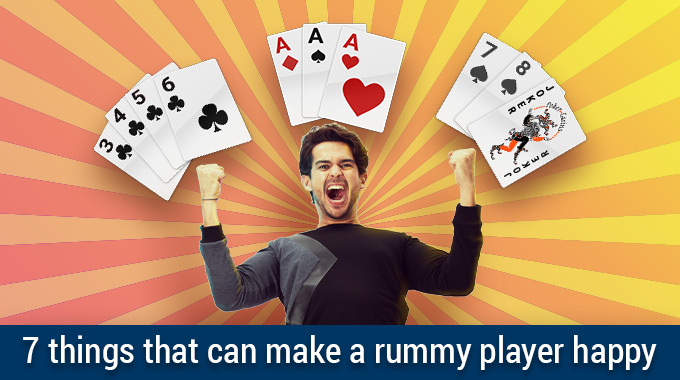 Let rummy help you take the important decisions of life and improve on your game play with the right strategy, right move and patience driving you all through.